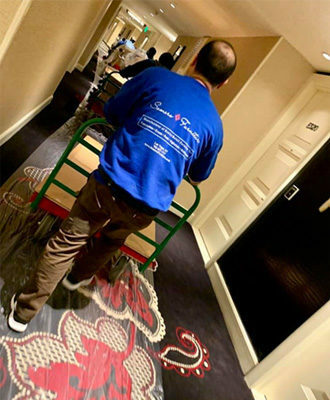 WorldMarket Center Las Vegas is a five-million-square-foot showcase for the home and hospitality contract furnishings industry in the heart of downtown. Winter Market is a five-day show from January 27th through the 31st where more than 500 exhibitors show off their product lines. 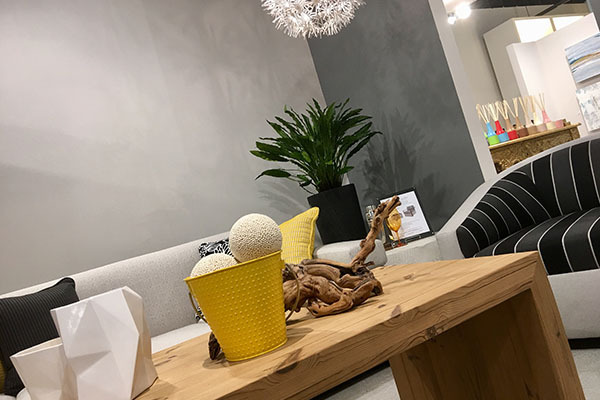 WMC Winter Market consumes 13 floors and A, B, and C buildings, along with temporary exhibitors in the Pavilions, making it the single largest display of furniture, home décor and giftware in the West Coast. It’s not open to the public, this show is for the trade only. Attendees include designers (and their guest clients), hotels, purchasing, and retail companies. Furniture companies come to Winter Market to not only showcase their products, they also educate buyers on the difference between building bulk furniture and handcrafted items. Seminars are scheduled in the meeting rooms almost every hour on the hour for the event. Most of us have priorities when going to a show of this size and Somers is no exception. It must show us something, teach us something, or we need to really enjoy the company. We have scheduled two of Las Vegas’ finest designers to speak on Monday January 28th from 2 – 4 p.m.: Shelley Gorman, Owner of SKG Designs and River North, and Kimberly JOI McDonald, President of IDS Las Vegas Chapter. What makes them so unique? Come join us and find out! Dining that does not look like dining, chairs are so yesterday. 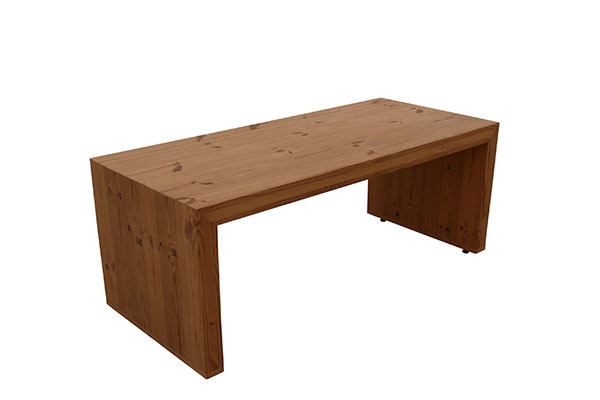 Combining benches, high back chairs, and swivel chairs is a great way to go, along with a dining table that looks indoors but can be hosed off! 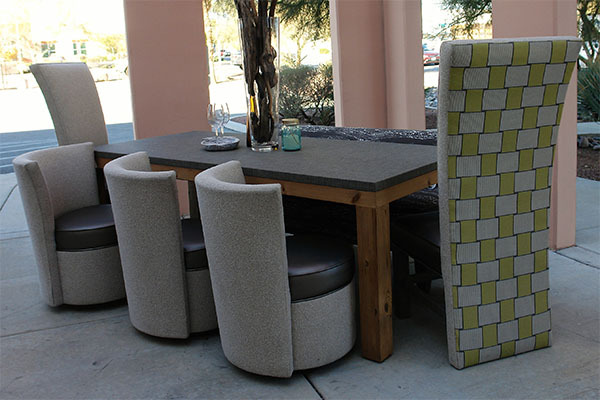 Rockers that are comfortable enough for the Property Brothers, only this time we are using silicone for the fabric and it stays cool to the touch even outdoors in Vegas! Got to see to believe, right? Create the ultimate open-air chatroom on our social circle Circular Sofa, not to mention the wedge side tables with built-in charging stations and a shelf to protect your tech from the ravages of the sun! Everyone makes swivel chairs, but do you really want to see the base? 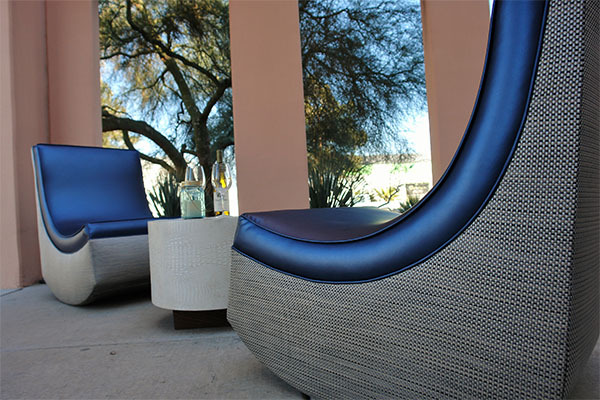 We hid it in the chair so all you see is a sleek comfortable outdoor chair that offers 360-degree views! 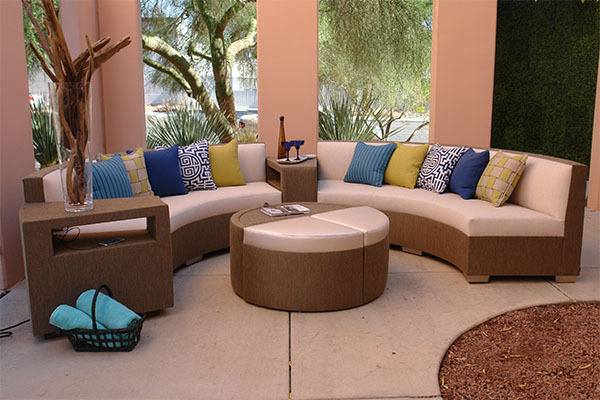 You can’t have outdoor furniture without loungers, so we are going to show you ribbed loungers with fully-lined built-in storage so they will be bug-free for towels, covers, etc. They also have a charging side table with tech-hiding shelf. Sold in a set or separate. Yin yang them so you can relax and talk to your someone special. 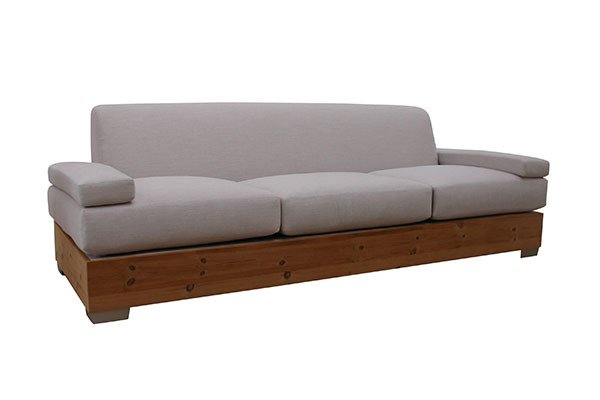 Always listening to our customers, we have built a sofa with soft pillow arms for those lazy Sunday afternoons. 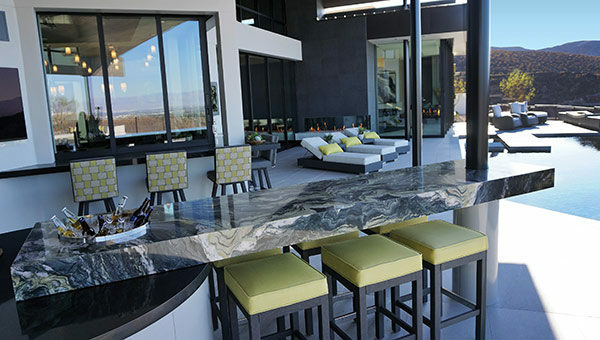 Combine it with special Thermory Pine wood that needs no maintenance, even in the desert heat and sun, complete with pine knots and shading that goes from a light brown to a weathered gray in time. Let’s say it ages well! Come by booth C591 at World Market Center January 27th – 31st and see for yourself. 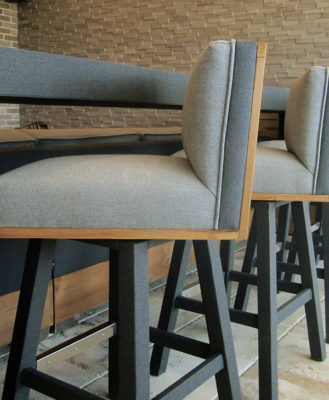 We encourage designers to bring their customers so they can sit and take in the environment. 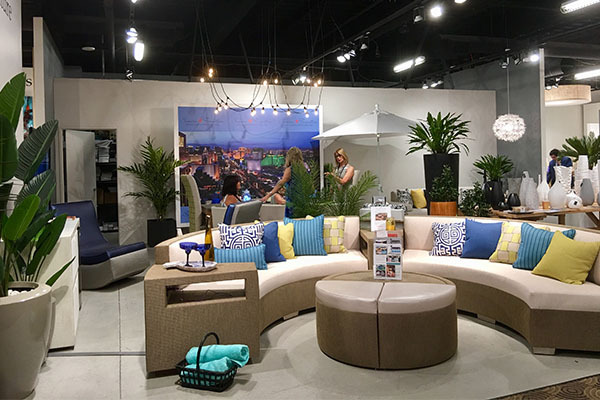 You will think you are looking at interior furniture, but it’s resort style for the backyard courtesy of Somers Furniture. Let's discuss all of the important details.